Not-For-Profit Governance Institute Partnership | BASE Consulting and Management Inc.
Toronto, February 2015 – Base Consulting and Management Inc. is pleased to announce a partnership with The Not-For-Profit Governance Institute™ to present a pivotal educational series for Board Members of Not-for-Profit professional and trade associations, charitable organisations and community agencies: The Not-For-Profit Governance Fundamentals Program™. Are your Board Members largely recruited from your industry or professional sector, bringing valuable specialized knowledge and contacts in your field of operations? How have they built up their expertise in the roles, responsibilities, duties and liabilities of a Director in the Not-For-Profit context? And, how do they remain current with changing legislation, as well as association leadership best practices? We have the answer: register your Board Members in our specially designed six-part series for Directors of Not-For-Profit organizations. Alongside other professionals, who have taken on similar volunteer roles directing associations or agencies in a variety of fields, they will receive a concise and well-documented overview of the fundamentals required to become a well-informed leader. We are delighted to partner in bringing this leading-edge offering to you – working together to ensure the best framework and tools for successful and effective boards! Base Consulting and Management Inc. is a thought-leader in association management and in best practices in the Not-For-Profit world. 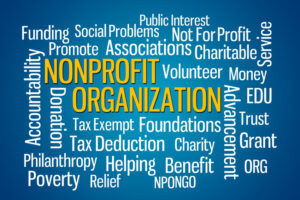 The Not-For-Profit Governance Institute™ is the premier provider of governance education for Board members of Not-For-Profit and charitable organizations.